Watch: This Young Boy From Andhra Pradesh Claims Aishwarya Rai Bachchan Is His Mother! Have come across something very bizarre case. Even Aishwarya Rai Bachchan might have got a mini attack on hearing this. We all know, Aishwarya Rai Bachchan is happily married to Abhishek Bachchan and they are parents to only one child, daughter Aaradhya. 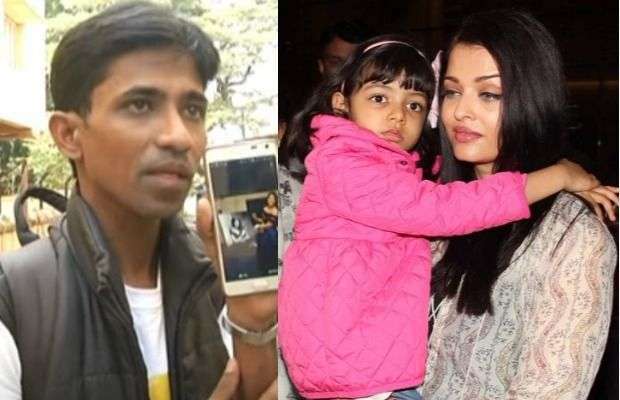 But a 29-year-old man from Andhra Pradesh, Sangeeth Kumar, claims that Aishwarya Rai Bachchan is his mother. “I was born to her by IVF in London in 1988. I was brought up in Chodavaram from age three to 27. I was with my grandmother Brinda Krishnaraj Rai’s family at the age of one and two in Mumbai. My grandfather Krishnaraj Rai died in April 2017 (March), and my uncle’s name in Aditya Rai,” Sangeet told media in an interaction in Mangaluru. “My mother got married in 2007 with Abhishek Bachchan and she is separated, living alone. I want my mom to come and live with me in Mangaluru. It’s already 27 years since I separated from my family, I miss her a lot. I don’t want to go to Vishakapatnam, at least I want my mother’s number so that I’ll be free,” he continued. Sangeeth doesn’t have any documents to prove his claims. “I’m getting enormous headache and anger at my native place, most of my relatives have manipulated things since childhood, otherwise I would have come back to my mother before itself with clear information. Due to lack of information, I could not come to my mother, so now I got all clarity. Ultimate thing is I want my mom,” he said. Wondering how Aish would react to this! Next articleWatch: Chris Zylka Proposes To Paris Hilton With This $2 Million Diamond Ring!